Is your life really awesome, or does it just look like that on social media? There has been some increased attention lately to the fact that everyone tries to make their life seem more awesome on social media. Some of us may be lying outright (like this viral video that came out in June) but I think most of us are consciously choosing to show only the best parts of our life. I don’t think there is anything wrong with that per-se. What can become a problem is when you start feeling bad about yourself because you believe that everyone else on social media is living a better life than you. Because that’s probably not true. That person who just posted photos of their awesome vacation also hates their job and lives in a terrible apartment with 3 terrible roommates. That person who went on a beautiful outdoor hike just spent all of today watching Netflix. Not everyone who’s engaged will be happily married. 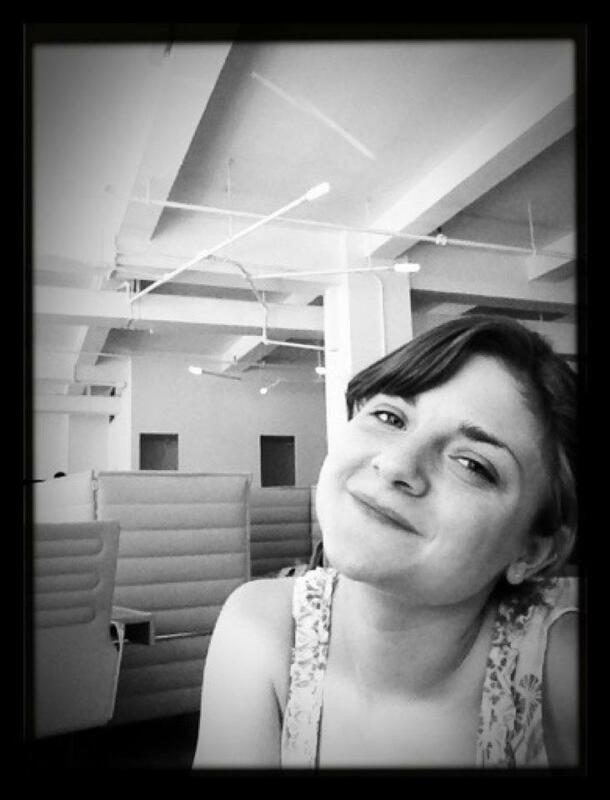 And so-on. The second thing to remember is that you can use social media as an excuse to start doing awesome things. One of my Facebook friends kept posting pictures of ceramics they were making and I was super jealous that they were using a potting wheel and making cool stuff. A few months later I was walking to Dunkin’ Donuts (which was not one of the things I chose to share on social media) and it turns out there’s a great pottery studio two blocks from my apartment! I signed up and now I am making my own cool stuff. So you can actually use the experiences of someone else as an excuse to jump start your own. When I brought it home yesterday and showed it to my boyfriend he was like “oh, that’s nice” but wasn’t super enthused. Then I took a picture of it with my phone, used some Instagram filter magic to spruce it up, and suddenly I have a slew of compliments on my mug. Way to boost my self-esteem! 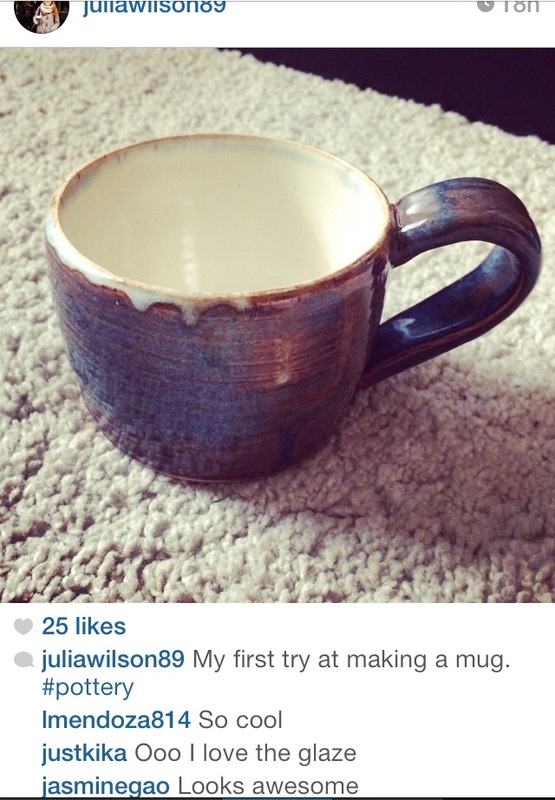 My mug on instagram, looking good! That picture I posted on Instagram is a much better looking mug than the real thing. 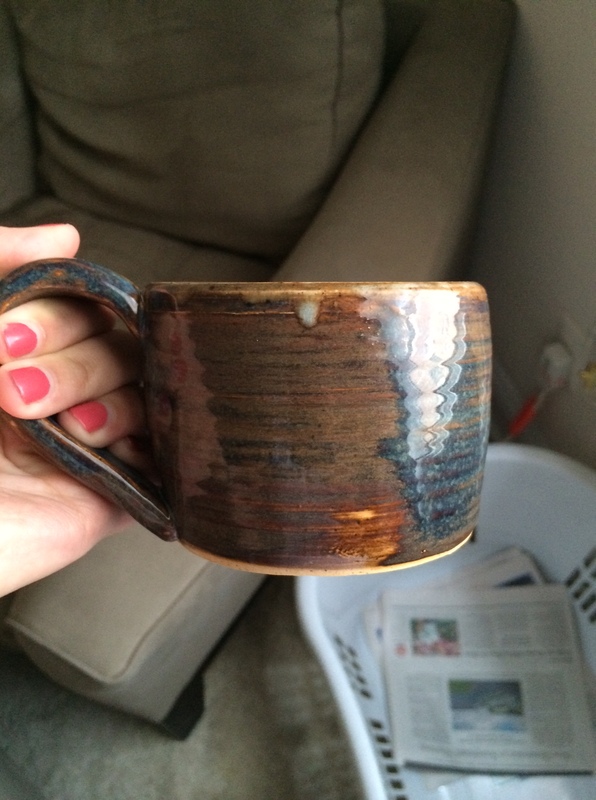 My actual mug has some spots where the glaze is too thin. The mug is a little too short to be practical (my boyfriend said “it could be good for a small bowl of soup”) and it’s also pretty heavy. I won’t be drinking my morning coffee out of this thing any time soon. The actual mug, not as great. I’m using my mug (which I’m still proud of, regardless of its faults) as an example of how we can use social media to make our lives look better. And like I said before, I think that is fine to do. In my case, it’s a nice self-esteem boost to share things like this every once in a while. But it’s also important to remember that everyone is filtering their social media feeds, trying to make themselves appear happier and more successful than they actually feel on a day to day basis. So next time you peruse your Instagram feed or Facebook wall take time to enjoy reading about everyone else’s awesome life. But remember that social media is a heavily curated list of our life events and your life can be awesome too, regardless of how many likes and retweets you have.